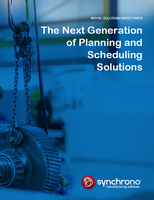 A few years ago, Aberdeen Group did a study that showed that 63% of “best in class” manufacturers still used spreadsheets for planning. With percentages this high, it’s probably safe to say that there is a lack of trust in planning tools like ERP and MRP even in the best-run companies. 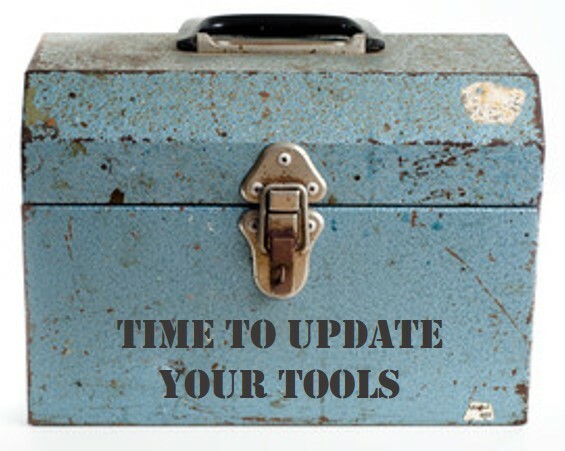 Of course, spreadsheets come with their own set of issues. 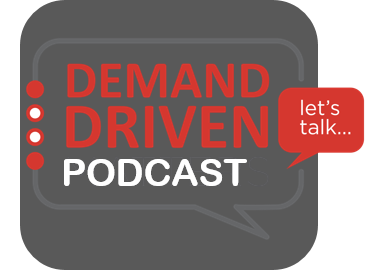 You may have a certain amount of confidence in the spreadsheets you’ve created, but what about those from your colleagues? Do you know what formulas they use to arrive at their conclusions? Where did they get their data? If the creator of the spreadsheet goes on vacation or worse – leaves the company – how quickly could a new planner take over their role using the existing planning tools and methodologies? Spreadsheets also contain computational and data errors. Forbes published an article quoting “various studies” that put the rate of significant errors at 88%. Though no specific studies were named, you probably don’t need that extra level of validation. You know the spreadsheets you use have errors in them. 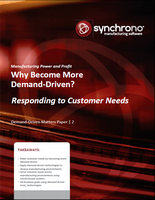 Otherwise, why would you still be having such a hard time synchronizing inventory and production to demand? Actually, spreadsheets are pretty powerful tools, even with the occasional error that creeps in. Likewise, MRP and ERP usually do exactly what they are supposed to do. They create time-phased material requirements and production plans based on the parameters entered into the system: forecasts, reorder points, capacity and so on. The calculations are so basic that even the most rudimentary software applications get them right. At the end of the day, the forecast is still a forecast, even with the wisdom of inventory and production planners added in. 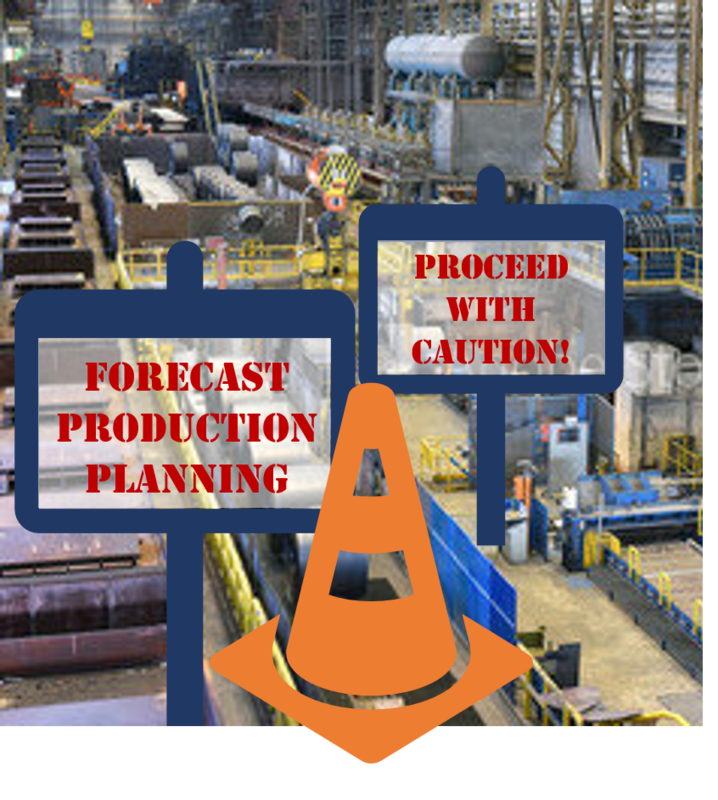 Unfortunately, the new forecast may not represent reality any better than the original forecast received from sales, and ERP and MRP have no choice but to translate those erroneous assumptions into equally flawed material requirements and production plans. In turn, these flawed plans translate into all sorts of issues: expediting orders, late nights, increased overtime, missed deadlines, angry salespeople, angrier customers, inflated inventory levels, blown budgets, tense meetings in the executive conference room and bland food diets to prevent your indigestion from turning into a full-blown ulcer. Since there is no such thing as a crystal ball that shows future demand, manufacturers who want to break free from this vicious cycle need to replace forecast-based planning with reality-based planning. 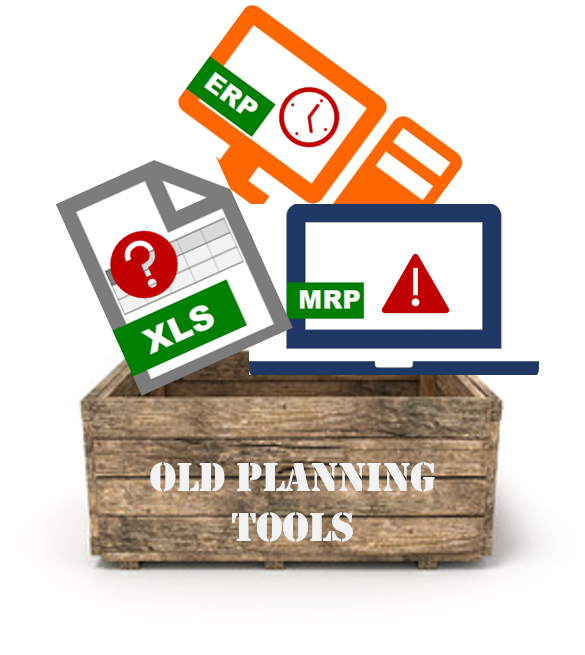 In short, ditch ERP, MRP and spreadsheets (at least for replenishment and production planning) once and for all. 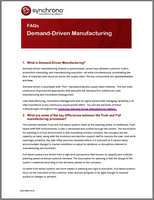 Demand–Driven Manufacturing is a method of manufacturing where production is based on actual customer orders (demand) rather than a forecast. 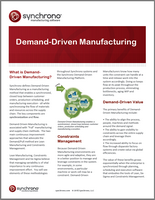 This process is accelerated by technology that automates, digitizes data and connects every function within the demand-driven organization and to every layer of the supply chain. 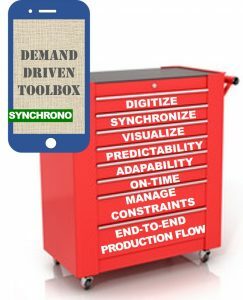 We created an entire platform called the Synchrono® Demand-Driven Manufacturing Platform that sits on top of your current ERP system and synchronizes all elements of production to demand and supply. 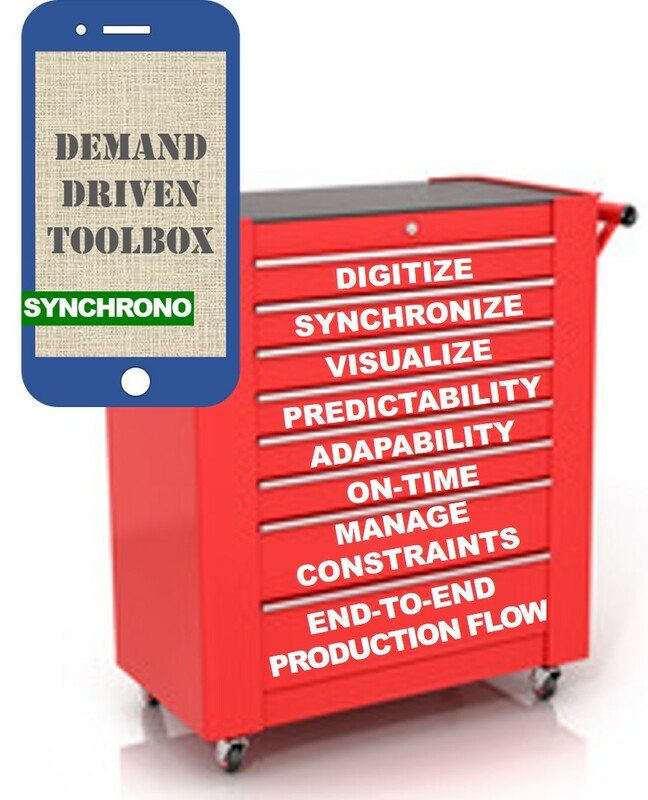 There is no need to rip out your current ERP or MRP applications; our tools use actual customer demand, supply status and the reality of the factory floor to synchronize production. 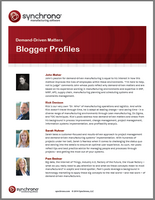 The methods used, such as eKanban, Lean Six Sigma, Theory of Constraints, are no doubt familiar to you. We also produce a YouTube channel where you can access several educational podcasts and videos that explain some of these concepts in more depth. As always, if you have questions, please add them in the comments below, or reach out to us directly. We would love to hear from you!